Debt.com » Debt Consolidation for Every Type of Debt » Do You Need Expert Debt Consolidation? Consolidation can help you lower your payments, cut your interest rates and find relief. But do you need an expert to do it? Debt consolidation is a debt relief option that can help you lower your monthly payments and reduce the interest rates applied to your debt. At a reduced interest rate, you can get out of debt faster even though you often pay less each month. More of each payment can go to eliminate your actual debt instead of accrued interest charges. Need more information about debt consolidation? If you need an explanation of what debt consolidation is or how it works, Debt.com has a complete Debt Consolidation Guide resource that can tell you everything you need to know. Do-it-yourself debt consolidation is possible and it’s often the best solution, depending on your financial situation. Whether you need to consolidate credit cards, student loans or tax debt, you may be able to do it solo. Get professional help to consolidate credit card debt, so you can rest easy knowing you found the right solution for your needs. This applies mainly to credit card debt consolidation as well as tax debt consolidation. The problem comes down to basic logistics. 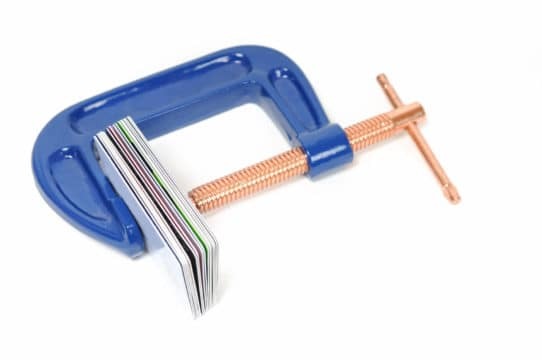 If you have too much debt, do-it-yourself consolidation may not be effective. Either the payments will be too high to fit your budget or it will take too long to pay off. For instance, let’s say you have $75,000 of credit card debt to repay. If you use a balance transfer, you want to pay off the debt before the 0% APR introductory period ends. Even with perfect credit the longest 0% promotion rates run for 24 months. To pay off the debt before the regular rate kicks in, your payments would be over $3,000. The monthly payment wouldn’t work for most budgets. Even a consolidation loan may not work. Most experts recommend that a credit card debt relief solution should take five years or less. Otherwise, the total interest charges become excessive – in other words, it’s not worth your money. With this level of debt on a 60-month term, the monthly payments would be around $1,485. Total interest charges would be $14,105.42 by the time you get everything paid off. It’s better than the $2,000 monthly payments and $32,336.01 in interest charges before consolidation, but not by much. By contrast, going through an expert debt consolidation company, such as a credit counseling agency, may be better. They can achieve lower payments and lower interest rates than you can negotiate on your own. Data shows people have enrolled in a debt management program with over $100,000 in credit card debt; they still paid it off in five years or less. For tax debt, most CPAs recommend you should only do an Installment Agreement (IA) on your own if you have less than $10,000 to repay. Otherwise, hire an expert. This usually applies to student loan consolidation and tax debt consolidation. If something is simple and straight forward, it’s pretty easy to do on your own. Fill out a few government forms online, list all your current debts and you can consolidation on your own. On the other hand, if your debts are complicated then consolidation can be confusing if you try to do it yourself. For example, let’s say you want to consolidate federal student loan debt. But you have a large number of loans from different programs. You have 2 FFEL loans, 3 Direct Loans, a Stafford Loan and a Direct Consolidation Loan because you consolidated previously. You would have to consolidate in 2 batches, the Direct and the FFEL. But where do you put the Stafford Loan? This is where expert debt consolidation comes in handy again. A student loan specialist knows which loans qualify for which programs. They can also help you divide the loans to get the lowest payments and the fastest path out of debt. For tax debt, the complexity often has to do with penalties and interest applied to your back taxes. If you apply for an Installment Agreement on your own, you will repay all the penalties and interest the IRS assessed. However, if you go through an expert like a CPA, they can negotiate for penalty abatement. This can help you lower the total cost of repaying the IRS. 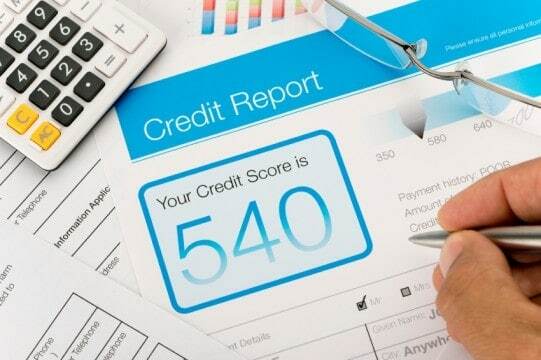 If you have a bad credit score, you either won’t get approved or the interest rate will be too high. With a 540 FICO credit score, it’s unlikely you’d get approved for a balance transfer credit card at all. If you did, you wouldn’t get a long 0% APR introductory period; you’d be lucky to get 6 months. By the same token, you’d be hard pressed to find a lender who would extend you a personal consolidation loan. Even if you found a lender who would approve you, the interest rate would be too high. In most situations, you want the interest rate on consolidated debt to be 10% or less. That’s a longshot with a FICO that’s less than 600. If you can’t consolidate alone, you want to talk to certain specialists depending on the type of debt you hold. Talk to a nonprofit credit counseling agency first. These agencies operate off grants from credit card companies. As nonprofit organizations, they’re required to review ALL your options with you, not just the debt management program they administer. So, you can get an impartial opinion on your best option. Even better, the evaluation is free. If you enroll in a debt management program, setup and maintenance fees are usually low; most states actually cap them at $69. Start with a CPA or a tax debt resolution company. We recommend working with an expert if you owe more than $10,000. However, the IRS allows you to set up an IA on their portal if you owe less than $50,000. Anything above $50,000 requires you to provide an extensive account of your income and assets to the IRS. In this case, you certainly want an expert to assist you. They can negotiate for penalty abatement and help you get the lowest payments possible. Private student loan debt consolidation usually means working with a private lender to take out a new loan. With federal student loan debt, you can use a Direct Consolidation Loan if you have one Direct Loan included in the mix. FFEL borrowers must use an FFEL Consolidation Loan. It works the same; it just covers loans issued under the FFEL program.